United put in a royal performance to record one of the greatest European victories to date. 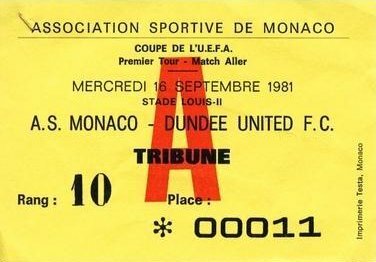 Prince Rainier was in attendance to witness a polished and mature United performance which, barring a ridiculous goal swing in the 2nd leg at Tannadice, should see them advance to the second round. Manager Jim McLean stuck with the same line-up that knocked five goals past Dundee at the weekend. After just 60 seconds Ettori had to race from his area to clear from Paul Sturrock. It took just 15 minutes for United to open the scoring. Fittingly it was man of the match Bannon who created the chance. His perfect cross was headed low past the 'keeper by Billy Kirkwood. The small band of travelling Arabs had just five minutes to wait for the second. Dave Narey release Sturrock who cut the ball back for Davie Dodds to shoot home. 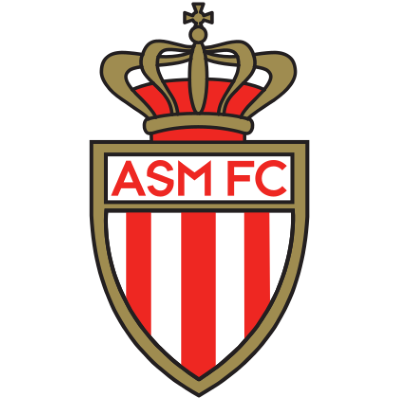 Ralf Edstroem, who looked yards offside, reduced the deficit for Monaco on the hour mark, advancing on McAlpine before slotting home. 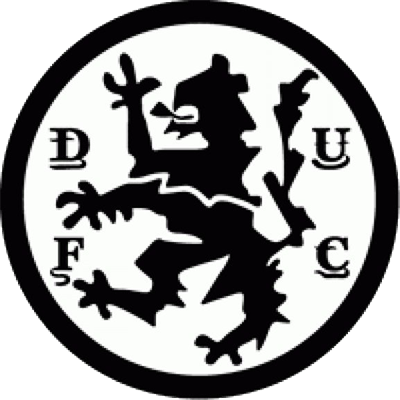 However, United restored their two goal lead five minutes later when Sturrock was downed in the box by Vitalis and Eamonn Bannon struck home the penalty. Four minutes after that there was more joy for the travelling fans as Davie Dodds pounced to score his second and United's fourth of the night. With six minutes left Vitalis was again the culprit, handling a Sturrock shot in the box, and Eamonn Bannon scored his second of the night from the spot to make it five. 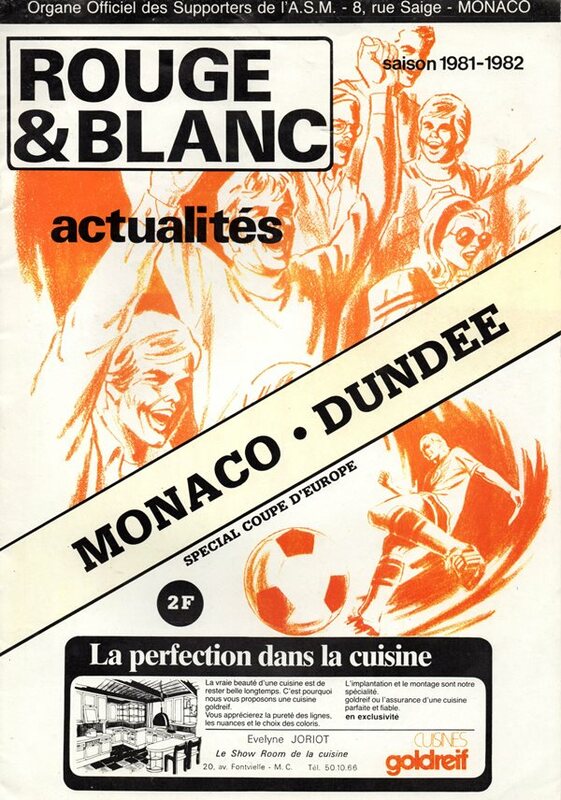 With a minute remaining, Monaco got a second thanks to an audacious lob by Bruno Bellone over a deceived McAlpine. That could not, however, deny United another wonderful night in Europe.